As you all probably know, I get really excited about writing!! It doesn’t matter if it’s MY writing or someone else’s writing or just WRITING IN GENERAL. I love it??? I probably love the idea of writing more than actually writing tbh. Just thinking about outlining and writing scenes and having a notebook and writing 100K words is much more appealing than actually doing it??? Especially that 100K. Thinking about it makes me tired but insanely proud over the nonexistent writing I’ve done. Anyways, today I’ll be talking all about my WIP, novel, book, story, piece-I’ll-be-writing-for-NaNoWriMo, whatever you want to call it. I’m super super excited but also anxious because it’s HALFWAY THROUGH THE MONTH AND I HAVE NO OUTLINE. Just kidding. I have like,, 500 words. So, I don’t know if you remembered when I had you vote on what novel you wanted me to write, and the novel I ended up choosing got the second most votes! 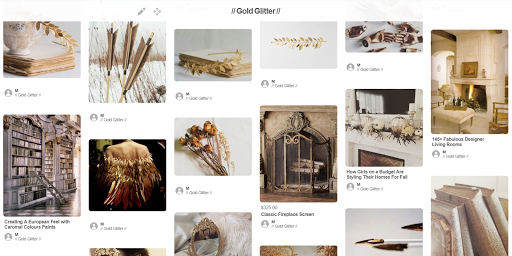 * If you still remember that post, the one I’m writing is Gold Glitter (except obviously not that title… I still need to think of one). I am SOOOOOOO excited about this one. I’m not doing any schizophrenia rep because I don’t think I’m ready to tackle that big of a mental health disorder like that yet, but the three main characters are ace, bi, and gay—ALL QUEER YAS. Also, it has evolved a lot from my original vision??? I don’t know exactly WHAT I was expecting but it certainly wasn’t this weird dark creepy mystery fantasy thing. I’ll be linking up with Beautiful Books, hosted by Cait @ Paper Fury and Sky @ Further Up and Further In. Click on the link or the button to learn more about it and/or participate as well! *In my MMM for August, I revealed the results, but then when I checked again, IT HAD CHANGED. SO I’M A LIAR NOW. 1. what inspired the idea for your novel, and how long have you had the idea? ghosts. libraries. books. food. socks. queens. daggers. gold. yellow. brothers. poles. That really helped get me get inspired and just expand on all sorts of ideas. And altho what I originally imagined is quite different from what it is now, it was STILL VERY HELPFUL OKAY. I’ve had this idea for about… um… three months?? Two?? I barely remember what I wore yesterday how am I supposed to remember THIS??? 2. describe what your novel is about! Well. Uh. This is awkward. I don’t really know what my novel is about?? Okay, I lie. I know the MOST IMPORTANT part of it, but I haven’t formed a plot out of it. Conflict? Yes. Problem? Yes. Storyline with all the obstacles the characters have to overcome and everything in between?? NO. But hey, I’m slowly figuring it all out! I mean, I have half a month left to finish start continue my outline, so I should be able to think of SOME things, at least??? So yeah. Everything above plus a few more things is all I’ve figured out!! And we’re halfway through October!! Help me!! 3. what is your book’s aesthetic? use words or photos or whatever you like! So. I created my Pinterest board BEFORE I really knew what my novel was about?? So there are a lot of irrelevant images on it. BUT IT’S AESTHETIC AND THAT’S ALL THAT MATTERS. 4. introduce us to each of your characters! I haven’t exactly, er, worked out their appearances?? IT’S THE INSIDE THAT MATTERS OKAY. *Literally what I wrote in my brainstorming doc. OUTLINE. I freak out if I don’t know what I’m writing, so my outline is CRUCIAL. * Food is also essential to my survival and sanity as a writer, and air is vital to my life. So I guess those things are kind of important. Kind of. Does procrastinating count as preparing??? And screaming and whining to my friends about how hard writing is??? And wasting time on Pinterest looking for “writing advice”??? *Yeah May, so, um, let’s write the CRUCIAL OUTLINE??? 6. what are you most looking forward to about this novel? I am really just excited to WRITE?? I have actually WRITTEN anything in a while, and I honestly miss it a lot. Oh and I think I’ll be adding in some poetic/lyrical/prosey parts from the land’s perspective (suggested by May and inspired from Our Dark Duet) and I am really hyped for that!! I mean, weird thoughts and feelings from a dark land being thing??? Yes please. *Despite the fact that I haven’t exactly, you know, DEVELOPED THEM. 7. list 3 things about your novel’s setting. 8. what’s your character’s goal and who (or what) stands in the way? Actually, I think that it’ll be that she wants to help her people in some way. I don’t know WHY or HOW. But that’s definitely a possibility. Maire will probably become more mature (since she’s kinda naive right now), learn more about her sexuality and identity as an ace person, and also realize that her life isn’t ALL for other people and that SHE has to live too. And probably some other things… WHY IS WRITING SO HARD. I just want to write this story and not worry about plot and character arc and asl;dfjasldfjalsdjfasldjfafdafj;lkad. 10. what are your book’s themes? how do you want readers to feel when the story is over? Something that I want to explore in this novel is the concept of good and evil. If you’re killing people to get a better civilization in the end, is it good? If you want to stop something from killing others but end up with a “badder” society, is it good? If you let no one eat any mangoes to save it all so everyone can have one, IS IT GOOD???? Okay so maybe not the mangoes thing, but you get the point. I also want to explore some topics like sexuality and suicide, and what it means to live for others but also yourself. Also, this is the reason why this FANTASY THING* IS CHARACTER-DRIVEN how cool is that??? It’s all about the characters’ growths and journeys and F;AJLSKDFJALSDFJ I’m so excited. *I don’t… exactly know what genre this fits under. A few more facts about my novel because I need this information as much as you do!! Aka I’m figuring this all out as I type it!! I am NOT failing as a writer, where did you get that idea!! what novels are y’all writing currently?? participating in nano? are you going for the full 50k? how are you preparing for nano? do you have any RANDOM ideas for me that’ll hopefully inspire me to think of some plot??? oh, and link me to your BB posts, i’d love to read them!! p.s. i’m a bit behind on answering comments and commenting on blogs, but i’ve been on vacation and will catch up soon!! ANYWHO, I’M SO EXCITED THAT YOUR CHARACTERS ARE POLISH THIS IS HONESTLY THE BEST THING EVER. I was going to make at least one of the characters in my WIP Polish as well because I CRAVE POLISH REP. Or just books set in Poland! GIVE ME MORE POLAND-RELATED BOOKS PLS AND THANK YOU. omg you use Staedtler pens too?? They’re only the best writing tools in the world..
I’m doing a novel about an 11 year old dealing with segregation in 1963. And how she’s trying to shut down some store that doesn’t let in black people or something. It’s confusing (but aren’t all plots?) Going for 50k but since it’s contemporary I don’t expect to need all those words. I want at least 35k. Hey I think your novel is a mix of dystopian-ish-ness and fantasy. I don’t know if that’s a thing or not but there you go. This is my first time ever doing National Novel Writing Month, and I’m both EXCITED 😄 and UNSURE 😶 and only have like enough plot in my head to last TWO CHAPTERS… 😰So you’re not alone in the whole ‘I NEED TO FIGURE OUT MY PLOT’ thing. I mean, I have the idea, and how it should begin and end, and this is the first time I’m going to try and write something a bit romantic (I’ll probably fail cause I make things awkward) so this is a bit scary. well binch what’s your username?? prettyhands????? I just added you on NaNo 🙂 I can’t WAIT for you to start writing this, it sounds SO FABULOUS?! Also, I love the idea of that blogger to think about words to inspire yourself to write. I’m so going to do that someday. I still don’t know whether or not I’ll participate in NaNo. I want to, but I have no time, teensy tiny ideas, a WIP to edit, still no time to ever make it to 50K… I do NOT KNOW what to do ahah, it’s such a stuggle. Ahh good luck on your writing! This sounds SUPER interesting so I’m excited to see how it turns out. I especially love how the land is alive???? Kinda like Cabeswater in TRC. And ghosts ahhhh I love some good old ghosts. And I’m excited for you to explore the whole good vs evil thing because there is so much to explore in there and so many different perspectives. Omg thank you so much!! And YES it’s similar to Cabeswater, tho not quite! Dude there needs to be more ghosts in YA, I love them. 😍 And I’m super excited to be tackling good and evil haha! Literally. the ground kills people. #ReverseEnhancedGlobalWarming BAM. It acutally sounds terrifying, like teh ground just thinks “ew youre a manie” then *gobble gobble gobble* and they’re gone and their souls are kept #4EVZ and YAAAYYY happy land. For 10 secondS****. I WANT THIS TO BE A BOOK. I WILL WAIT 7385628 YEARS IF I MUSTTTTTTTTTTTTTT!!!!!!!!!!!!! AAAAGHA THANK YOU SO MUCH!!! 💖 And I’m excited but nervous to be tackling Poland as my setting haha. 😂 Good luck with your writing as well! Ooh, good luck!! It’s definitely fun and motivational and AWESOME, but it can be stressful! 28k is a lot — I hope you acheive that (and better yet, 50k)! hmmm ju maybe that’s why there are QUESTIONS at the end of the post to help you with commenting? JUST A WILD GUESS. Aww, thank you so much Emma!! 💖 And OH MY GOD YOU FINISHED THAT’S AMAZING CONGRATS AJDKAKFJSJ. 🎉🎉 Good luck with all your editing (and we’ll all be waiting for when you need betas 💕)!! And yay for the queer rep!! And i’m glad you not doing the schizophrenia rep because it’s a huge topic! OMG THERE ARE SOCKS. Wow, I am so in. Now, all it needs is chocolate. Maire, not Marie? ROMY SOUNDS AMAZING. I love that there are ghosts? rhufhfj GIMME NOW Good luck on outlining. OMG prosey parts like ODD? ousgdhjbfjfb yESSSS. and your MC is ace! Hopefully, you get the rep right! Wow i am sad. AND THE AESTHETIC IS PERFECTION. I’m writing NOTHING AT THE MOMENT! I haven’t written anything the past 2 months simply because I’ve been SO BUSY. So like…HOW THE HECK DO I PLAN TO GET 50k in Nano? I DON’T KNOW. okay? I haven’t even started prep yet. OOPS. I think I WILL get to 20k and then FAIL but I do want to get to 50k! I am going to do a BB post, hopefully. Towards the end of the month though!! dude aim for 20k!!! i guess i could try to go for the 50k but i’m already super stressed and even just TRYING to get to that will make me even more stressed. ooh i’m so excited about your BB post!!! dude writing is overwhelming i feel ya 💕 oh are you not doing nano?? and AGAHHA GOOD LUCK WITH YOUR OUTLINE!!! We should scream about our wip together if I end up doing nano!!! We totally should!! Are you working on the Mulan retelling?? Hmm how do you wanna chat then? Google hangouts would def work! This sounds lovely, and your aesthetic board is STUNNING. Good luck! Good luck on your novel! I’m going to try to write in 3rd person too, which I haven’t tried in…wait, have I ever tried 3rd person? It’s my favorite to read but I find 1st person to be so much easier to write. But I’m going to try it this year. Sounds great, May! Good luck! I’m not sure whether to participate??? Well, you might not have a plot or a title, but at least you’ve got aesthetics #priorities. It looks good so far though, I can`t wait to see how it goes!!! Good luck with NaNo! Hhahahaha yesss. Aesthetics are all that matter tbh. 😂 And thank you so much, good luck with all your writing as welll!! i might write a prose collection????? tbh???? i’m not sure?????? i’ve already sort of started…. i’ll send them to u !! jk !! jk !! jk !! ur my favorite wife !! also a family can be one girl and her 100 girlfriends okay !!! okay !!!! Aww, I’m so glad you like my ideas!! And I’m happy you’re excited for the ace rep, I hope I get it right. 🙂 Good luck with NaNo! This. Is. So. AWESOME!! asdfghjkl how. I love it. Also, Maire is me but I’m an introverted Ravenclaw. It’s okay not to know what you’re doing yet. Sometimes the best outlining has happened for me the day before NaNoWriMo 🙂 I also set non-50K goals when I participate in NaNo. Mostly because I write short, but also because quality over quantity, right? I won’t be participating this year because I want to focus on revising my WIP from last summer but wish you luck! Same tho?? I’m like YES LET’S WRITE WOO HOO. And then,, nope. Aww thank you so much, Michelle! And ahahah I have like 1k words on my outline but I’m barely on Chapter 2. But that’s okay! I’ll figure it out! ahahhahaaha!!!! Ahhh hope you figured everything out and that NaNo’s going well May!